Cruise, the self-driving car startup that sold to General Motors last year, has reached a new milestone: it has a self-driving car model, based on its Bolt electric vehicle, that's now ready for the factory production line and ride-hailing passengers. Why it matters: Cruise touts this new development as a giant step that puts it ahead of the competition. No one else, the company claims, has a "production design" self-driving car ready to roll off the factory line. This is also a reminder that unlike startups in the space, Cruise has the resources of a century-old automaker. The car: Dubbed "Generation 3" (the company says it doesn't have a name for it yet), the new car has Cruise's latest iteration of sensors, self-driving software, and improvements to its interior. About 40% of parts are new or modified from the original Bolt electric car. It has a steering wheel (mostly due to current regulations that require wheels and safety drivers), though that may change down the line, Cruise co-founder Kyle Vogt hinted. This new car includes robust safety and redundancy systems so that in the event of a failure or issue in the self-driving tech, there are backups that will keep passengers safe. This was necessary as the car goes "from driving itself some of the time, to driving itself all of the time," Vogt said in reference to earlier models. The cars will be assembled at GM's Orion plant in Michigan, according to Doug Parks, VP of autonomous technology. Roll-out: So far, the company has produced about 50 of these cars and plans to ramp up manufacturing, though it declined to share details about the timeline. 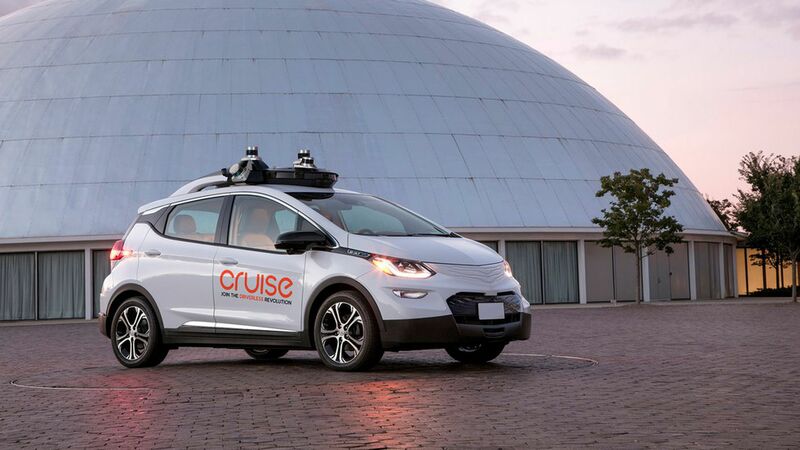 Cruise recently began to let its San Francisco employees hail rides in its self-driving cars and these third generation vehicles will soon be integrated into this fleet. Though these cars may someday be owned by consumers, Cruise is currently focused on how they perform in the context of a ride-hailing service (which also means costs are still high). Gen 2: In a somewhat unusual move, Cruise is rolling out and testing more than one generation of its Bolt-based self-driving cars. Its "Generation 2" car, which executives describe as the "artisanal" version (no longer an initial model with various sensors cobbled together, yet not ready for the factory yet), is still fairly new and will continue to be on the road for tests even as the newer model comes off the assembly line. This generation has roughly twice as many sensors as the previous model, according to Parks, though he declined to say how many. Still: Cruise has been shy to let outsiders try out its cars, so there are lot of questions remaining about their performance and the passenger experience. Others like Uber and Waymo have made those available to the public and press for some time now. It's also unclear how closely Cruise is working with Lyft, in which parent company GM invested $500 million last year, though Vogt says the companies are in touch.